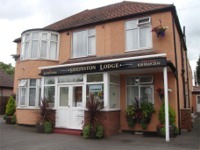 Shepiston Lodge is a small family run hotel situated in Hayes, Middlesex - only 1. 5 miles from heathrow airport. However it is not on a direct flight path and do not suffer from aircraft noise. Our emphasis is on comfort and friendliness, offering a "Home From Home" experience in contrast to the larger hotels. We offer a personel service and great value for money. 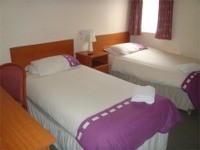 We are ideally situated for wisitors to London and travellors visiting Heathrow Airport. Tourists choose Shepiston Lodge for its proximity to four major motorways, which bring Windsor Castle, Runnymeade, Hampton Court, Thorpe Park and Chessington within 30 minutes drive and even popular destinations like Brighton, Whipsnade, Oxford, Portsmouth the Cotswolds, Richmond, Kew Gardens and Chessington - to name a few... can be reached in less than 90 minutes. Other attractions include Legoland, a miniature town built by LEGO pieces. The famous Royal Ascot Racecourse is relatively near too. We are an ideal location for tourists to London , Paddington Central London mainline station is an easy journey of approximately 20 minutes by fast train from Hayes & Harlington main line station which is under 10 minutes from the hotel. A regular bus service also runs to the station. There are regular trains to the West country. By Road = Take exit 4 from M4 motorway and follow the sign to Hayes . The hotel is in Shepiston Lane, fifty yards from Comfort Inn and Hayes Fire Station . From Airport - Follow signpost to the M4 and leave the airport by the tunnel. Go under the motorway and straight over the roundabout , keeping to the left lane . The sign to Hayes / Comfort Inn direct you into Shepiston Lane . The hotel is on the right , after the Fires Station and Comfort Inn , exactly one mile after entering Shepiston Lane. From Heathrow by Bus - Take Hoppa Bus to Comfort Inn Hotel . We are 100 yards from there.